Home / Dr. Prudencio S. Balagtas, D.O. Dr. Balagtas is a specialist in Physical Medicine and Rehabilitation. His professional journey began when he graduated from UC Davis with a Bachelor of Science degree in Genetics. After receiving his medical degree from Western University of Health Sciences, he served as a medical officer in the United States Navy from 2005-2008. 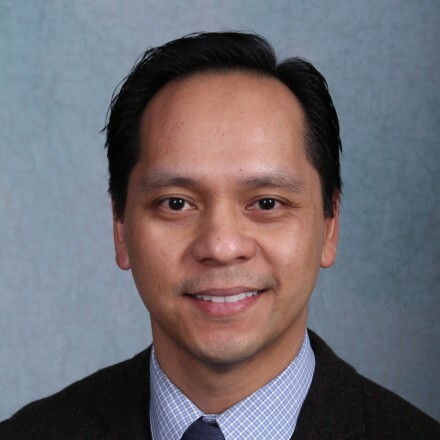 Dr. Balagtas went on to complete a residency in Physical Medicine and Rehabilitation at JFK Johnson Rehabilitation Institute in Edison, New Jersey where he served as chief resident in his final year. Following residency, Dr. Balagtas completed a fellowship in Spine Medicine at the Cleveland Clinic. Dr. Balagtas’ area of expertise includes evaluation and management of neck and low back pain, nonoperative spine care and interventional procedures. In addition to the spine, he has special interest in joint pain, sports related injuries, and diagnostic/therapeutic ultrasound. Dr. Balagtas also received extensive electrodiagnostic training in the use of nerve conduction studies and electromyography in the evaluation of peripheral nerve disorders. His main focus is to relieve patients’ pain and to help them restore and maximize function to improve their quality of life. He strongly believes in forming a partnership with his patients to provide the most compassionate and competent care possible.